We utilize a wide variety of styles and support when it comes to composite shoe selection. Making sure the fit and function is appropriate for your horses needs. Be sure to check out our case studies for more information! Composite shoes are horseshoes that are made of composite materials (plastics similar to skateboard wheels) and offer different benefits than traditional steel or aluminum shoes. For rehabilitation purposes including but not limited to Laminitic or Foundered horses & arthritic horses. For performance horses to maximize shock absorption and provide comfort during demanding work schedules. For horses that may need extra protection for a trip or summer ridding and owner finds boots too cumbersome or unreliable. Composite shoes can be a means to an end with the end goal being traditionally shod, barefoot or booted. In our experience, three shoeings make significant, lasting, and positive changes. After three shoeings we reassess, get new radiographs if needed and make modifications or adjustments to our rehabilitation plans. 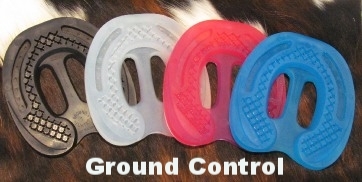 Some horses benefit from composite shoes year round depending on their needs. Composite shoes can be more expensive than traditional metal shoes, but the benefit far exceeds any extra cost in most cases. There is a great deal of knowledge and skill that is required to correctly select, fit, place and attach a composite shoe. The material costs are higher, especially when gluing or for therapeutic cases, so the cost to apply them can be anywhere from $200+ depending on whether dental impression material, pour in pads or casts are used. (Cost estimate includes time, trim, prep, materials and application of 2 shoes). Therapeutic shoeing is an investment in your horses long term soundness and comfort. You can spend a little more up front to address and correct a problem quickly or spend more in the long run correcting a problem over a longer period of time. After the first shoeing the horse’s foot may change significantly resulting in shoe loss. Shoe loss in the first 2 weeks of the first set can happen as the hoof changes. After that. shoe failure/loss is rare. We consistently see that most horses in a good environment will keep their shoes on for the full 6 weeks. We work on a 6 week trimming and shoeing schedule. Horses with glue on shoes need to be kept in a dry environment for best possible retention. If the horse is kept in wet and muddy conditions there is a higher risk of losing a shoe. The glue used to glue on the shoes can take anywhere from 2-4 minutes to set depending on the external temperature. The horse will need to stand quietly with his or her leg up until the glue is set.